Over the past year few years, tax technology has risen to the forefront of conversation in corporations. Global tax departments are being pushed to increase efficiencies, comply with new regulations, and more. 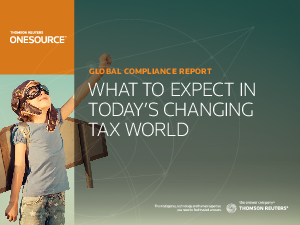 Thomson Reuters® ONESOURCE™, the industry’s most powerful corporate tax technology platform, drives global tax compliance and accounting decision making around the world.